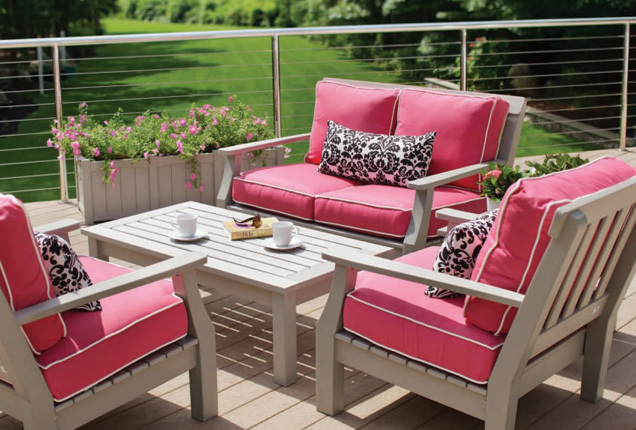 For nearly 30 years, Custom Craft has dedicated itself to producing high quality outdoor cushions, pads and related products for outdoor furniture manufacturers, retailers and specialty patio stores throughout the northeast. Using high quality, durable all weather fabrics, experienced hands use modern techniques to construct quality merchandise right here in the USA. For personal service, flexibility and expedited turnaround, Custom Craft is the right choice. For selection, quality and price, Custom Craft is your best choice. Custom Craft is rooted in textiles and manufacturing traditions. Our crew, with long experience at their craft, is proud of the consistently high quality workmanship put into each outdoor cushion, pad, umbrella, canopy and pillow. As a family owned and operated business, we’re always available to give personal attention to you and your order. As our name implies, we still put our hand to custom-crafting variations on standard styles, and we offer sizing for non-standard items as a specialty. 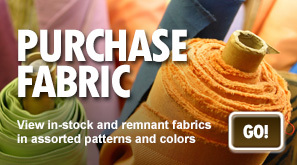 The latest designs and quality outdoor fabrics come to us from a select group of suppliers. 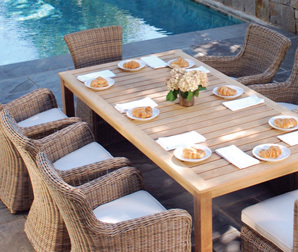 Whether you order for a new line, special label or replacements for wicker, teak, wrought iron, aluminum or rattan, Custom Craft works with you to select the right fabric and design for the job at hand.